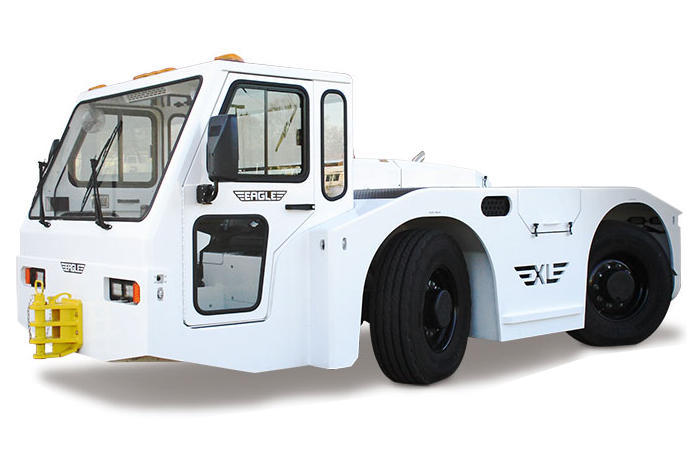 The Eagle XL tug is one of the largest tow tractors made by Eagle Tugs. The Eagle XL Series offers a Four-wheel Drive (4WD) powertrain for excellent traction, as well as Four-wheel Steering (4WS) for excellent maneuverability. This type of tug equipment offers superior functionality in all weather conditions for moving all “single-aisle” aircraft.